Wishing you and your family a very From my family to yours, we hope that your celebration is full of love, joy, and holiday cheer. Sending warm and cozy wishes to all of you. P.S. 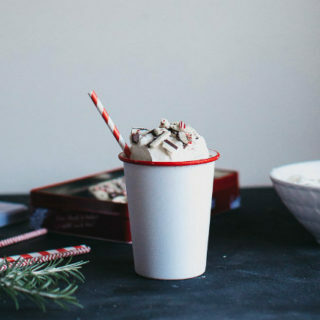 For this great Peppermint Bark Frozen Hot Chocolate Recipe, click here. Photo via ErinMadeThis.